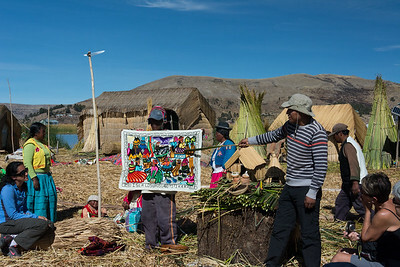 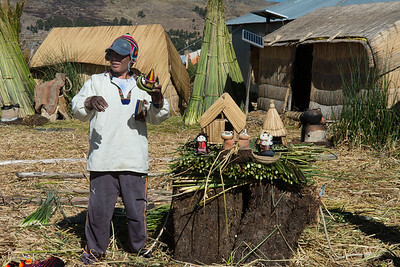 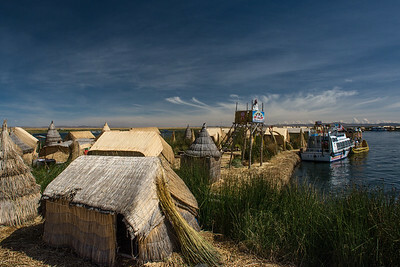 Over 40 floating totora reed Islands are linked together (a separate family unit on each) creating the archipelago of Los Uros. 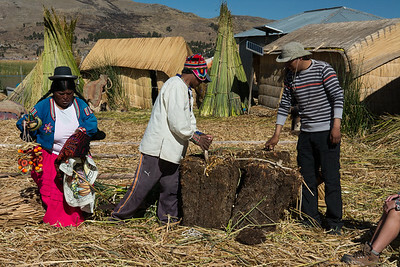 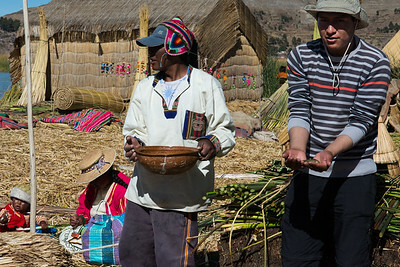 Their lifestyle is that of an ancient civilization and they consider themselves to be "the oldest people on the earth". 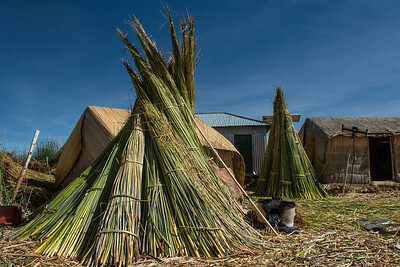 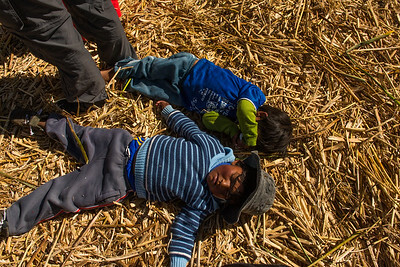 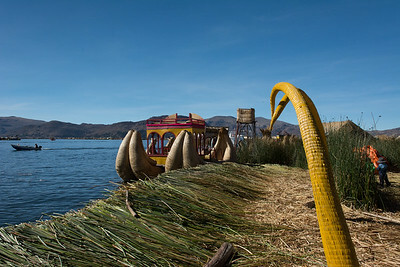 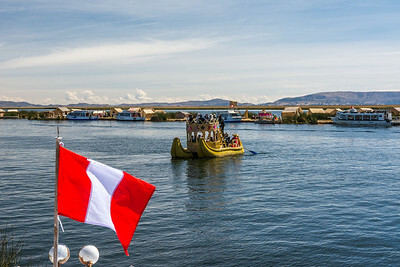 Floating Isle of Uros, Lake Titicaca - Peru. 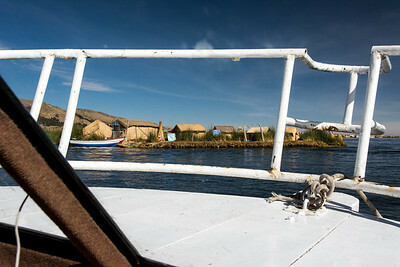 Example of the underpinning of the island. 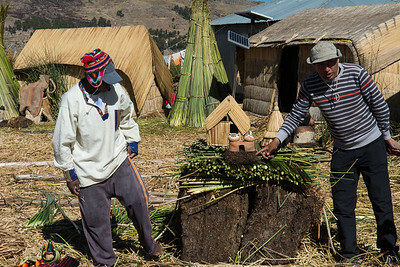 Adding the layer to build on. 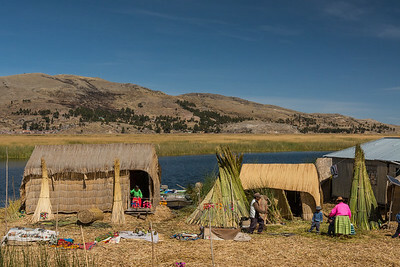 Totora Reeds. 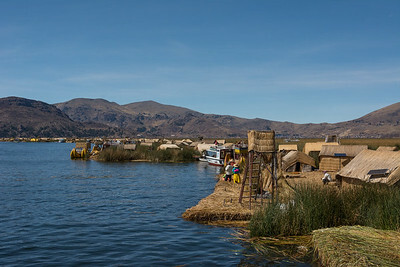 Floating Isle of Uros, Lake Titicaca - Peru. 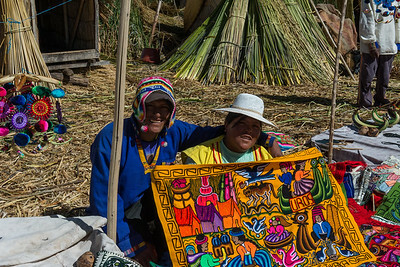 Hand woven depiction of life. 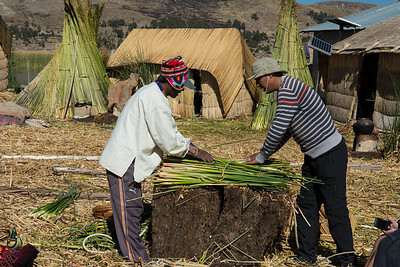 Totora Reeds - Schoenoplectus californicus subsp. 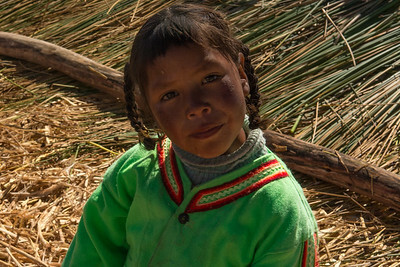 tatora. 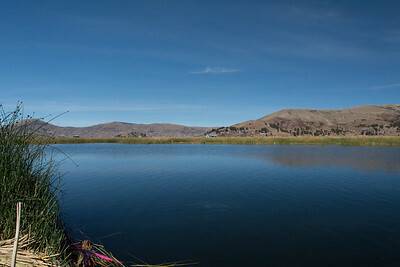 Bulrush Sedge. 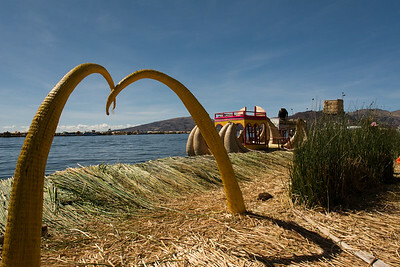 Floating Isle of Uros, Lake Titicaca - Peru. 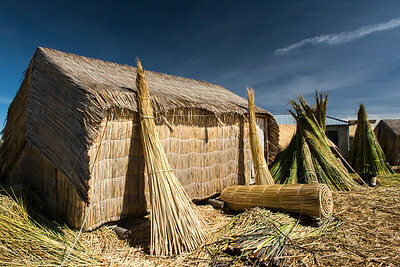 Used to construct houses too. 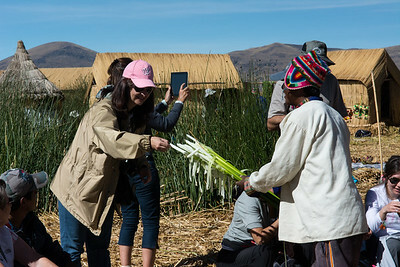 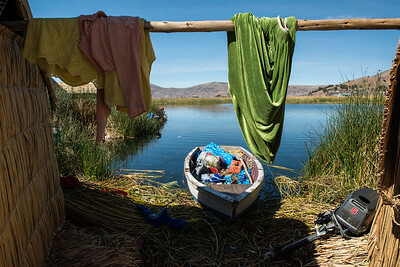 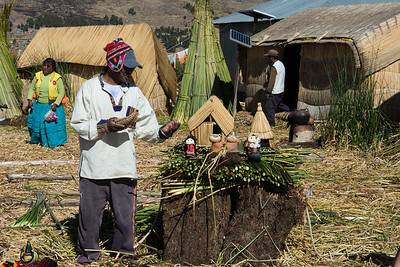 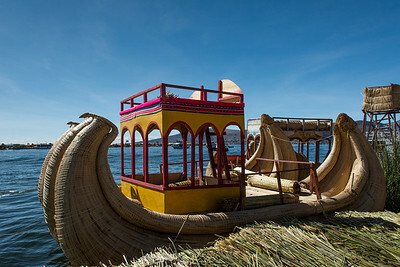 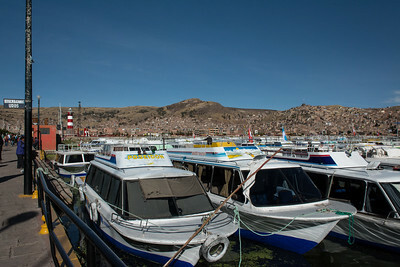 Floating Isle of Uros, Lake Titicaca - Peru.